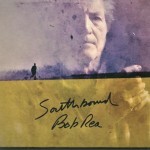 Not one to hold back an emotional gut-punch, Bob Rea softens the blow, somewhat, with lyrical crafting and collaborations that rival those of any top-tier troubadour one can name. While often immersed in his own tragic intimacies- “Wanna Do”, “Lonely Is Lonely”- he finds a moment to season another’s parallel plight with pungent humor- “Screw Cincinnati”, then counter that light-hearted spell with the mind-searing, Cohen-esque “The Law”. Other tracks of note on this early “years-best” candidate include “Soldier On”, “Southbound” and “Vietnam”. Production and backup is first-rate.